Is tofu really that tasteless? From the majority’s point of view, the answer is probably yes. I agree tofu is not everyone’s favourite food. Some people even refuse to eat it. For me, that's not the case -- I love tofu. There are so many ways to make it tasty. Tofu is like a white canvas, dull and boring until you put something on it. Therefore, if you choose the right ingredients to add to tofu, the dish can be delicious. 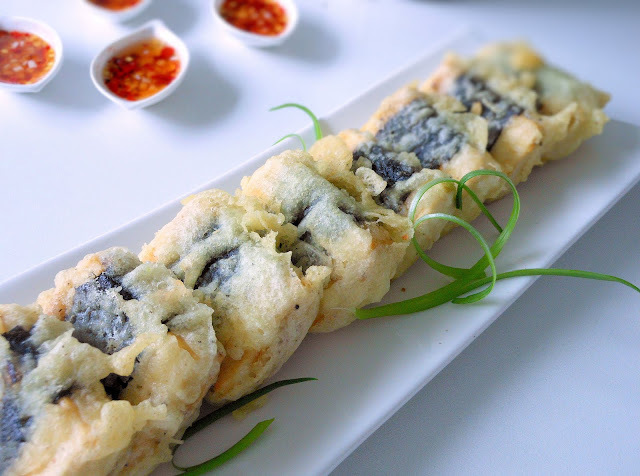 Unlike other tempura dishes, I use a different dipping sauce. 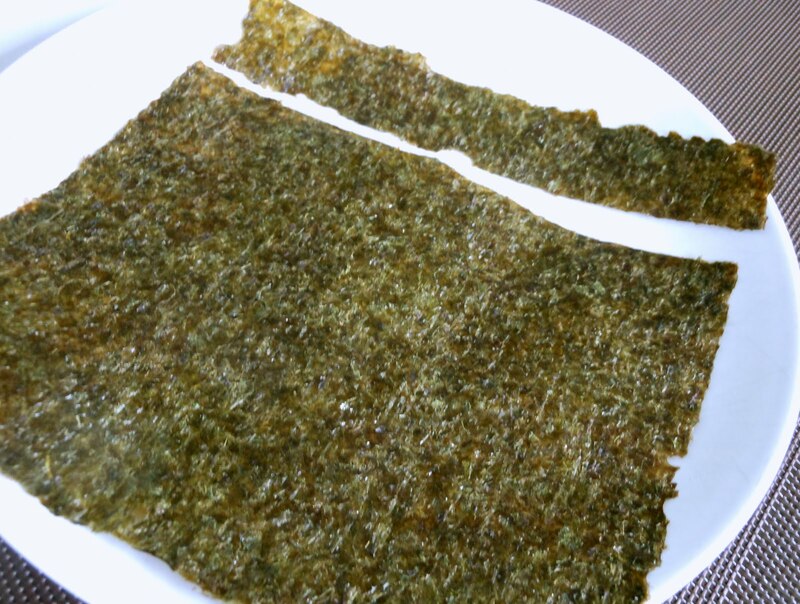 2 sushi nori seaweed sheets – 6 perforations per sheet. Drain the tofu. Squeeze out as much water as possible. Use paper towel to absorb more water. In a shallow plate, mix seasoning ingredients together. Coat each piece of tofu with the seasoning. Cut along the lines perforated on the sushi sheet. Need 8 strips. For the tempura batter, pour water into a mixing bowl, sprinkle in batter mix and stir until smooth. Heat oil in a small pot over medium heat. Use enough oil to cover tofu pieces. Dip each tofu in batter and drop to the oil. Fry until brown. Put the tofu on a plate lined with paper towel to drain excess oil. Transfer tofu to a serving plate and serve with the dipping sauce. In a small mixing bowl, mix sugar with warm water until dissolved. Add the remaining dipping sauce ingredients and mix well.